Occupation: Former espionage agent whose reasons for his resignation remained unknown. Lifestyle: Held captive in The Village, site of a quaint Orwellian society where all residents were assigned numbers and kept under constant surveillance. The Village was ruled by Number Two, although the individuals with that title were replaced frequently due to Number Six's escape attempts and refusal to divulge his secrets. Wore a black suit with white trim on the lapels and a dark shirt. Family and Friends: None. Actually, old acquaintances popped up in a couple of episodes like "Arrival" and "Dance of the Dead." But it would be a stretch to say that Number Six had any trusted confidants. Nemesis: The various Number Two's. There was also a giant white balloon known as Rover that prevented Village residents from departing. Trademarks: Trying to escape; defying authority. Classic Quotes: "I am not a number. I am a free man!" and "Be seeing you" (a farewell phrase). Classic episodes: "The Chimes of Big Ben" (Number Six appears to have escaped); "A. B. and C" (Number Six's dreams are manipulated); and "Living in Harmony" (Number Six in the Old West; CBS refused to show this controversial episode when the series was originally broadcast in the U.S.). Classic character, classic series. The Blu-Ray set is a thing of beauty. I'd also nominate "Arrival" and "Many Happy Returns" as stand-out episodes. Well, they're all good, really. Yes, it was tough to single a few episodes. The most distinctive for me was surely "Living in Harmony," as I had no idea what was going on. I never saw The Prisoner -- I know it didn't last long, and I was at the apex of being allowed to date, so that's probably why! I love Patrick McGoohan -- wonderful actor. At this point, the storyline sounds right up my alley, and I know I'd love it. It's right up your alley, Becky, and McGoohan (who created the show) is terrific. You don't have to watch it in sequence, but it's better that way. Rick, an apt choice. I'm sure the manipulation of reality theme of the series helped make it such a cult item when it was first broadcast in the U.S. in the late 60s. I've read that the holiday island in Britain where the series was shot is a popular tourist destination for fans of the show. Of the various actors who played Number Two, wasn't Leo McKern ("Rumpole of the Bailey") one of them? I finally saw the entire series when BBC America showed it a few years ago (along with color episodes of the Diana Rigg-vintage "Avengers"), and I must say that McGoohan was perfect as the hero--brash but sympathetic. I do remember that episode where he seems to have escaped and how it kept me on the edge of my seat to see where they would take the series after that. Those balls that chased the inhabitants around the island were a particularly memorable sinister/whimsical touch. Portmeirion in North Wales is indeed a popular tourist site for fans of THE PRISONER. Rumpole--I mean Leo McKern--appears as No. 2 in three episodes, including the two that culminate in the series climax. He and McGoohan share some potent scenes. "Sinister/whimsical" is a marvelous description for Rover. The episode you mentioned was another fave, but I'll omit the title for the benefit of those who haven't seen it. I am a big fan of "The Prisoner". It is so intriguing because you really don't know if the people who are keeping him hostage in this supposedly quaint community are his enemies or former employers. They fight nasty, though, in their quest to get information. Excellent choice for your number two selection of 15 great TV characters. Well done, Rick. Be seeing you! I wouldn't it was a generational thing. THE PRISONER may be the most famous of all cult TV series. 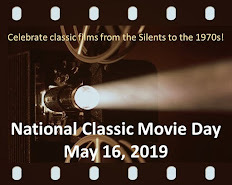 It has been "rediscovered" multiple times, starting in the early 1980s with the college crowd and continuing through its blu ray release in 2009. A strange, unusual, and adult series - I remember that the Village was disorienting (actually, the WHOLE series was disorienting), because I never could quite figure out its boundaries (an island? a valley in the mountains?). I had always thought that #6 was supposed to be John Drake, who had quit the spy service he was in, and this was his punishment - was there any connection to Secret Agent Man? And didn't McGoohan partially base this series on a true story, of a spy-in-training who was actually kept in isolation like #6 in the Village? In a 1985 interview, McGoohan stated emphatically that Number Six was not John Drake. But there certainly are strong similarities and some PRISONER fans claim there's a scene in one episode where Drake's name is mentioned (I've watched it and couldn't hear it). George Markstein, who is often credited with co-creating the series with McGoohan, has said a resort used as a World War II prison influenced the premise. However, there was a DANGER MAN/SECRET AGENT episode called "Colony Three," which also foreshadows some of the idea in THE PRISONER. Bottom is that the series' origin is kinda convoluted--which only contributes to its one-of-a-kind reputation. John Drake was a wonderful... oops, I mean Number Six was a wonderful character. Patrick McGoohan was so sophisticated and charming that he would have made a superb 007. But then he was the ONLY one who played Drake and Number Six (I'm pretending the PRISONER remake didn't happen), so they're both entirely his characters. THE PRISONER was the type of show -- like TWIN PEAKS -- that had a peculiarity that was just so fun and irresistible. Rick, I've been enjoying your character profiles and am looking forward to reading more! Be seeing you. John Drake is one of the most creative characters ever on TV. Loved the show and seen every episode. I'm a big Partrict McGoohan fan and will watch anything he is in. Agree with Sark that he is the ONLY Number Six...the ONLY... Glad 6 is on your list Rick! "The Prisoner" and Patrick McGoohan himself were like a cool wind across the barren midwest landscape where I grew up, in Nebraska. None of us understood what was going on in the series, yet it was magical just the same. All the kids in the neighborhood watched it religiously, and discussed each episode for days. I adored it then because it's dream-like locations and convoluted storylines were so completely different than the milquetoast US series of the 60s. I still adore it, except now the bluray set is a marvel to watch. 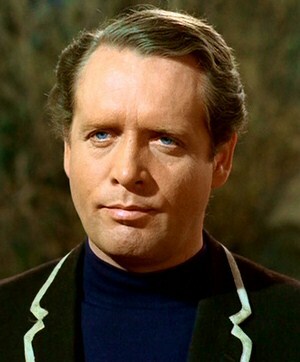 No one was ever as enigmatic and as wonderful as McGoohan in "The Prisoner."